You don’t need many stuff for a Panama trip, but high quality products, otherwise you will have big deceptions on strong fish like cuberas and big tunas. Small dry bag 10 liters. 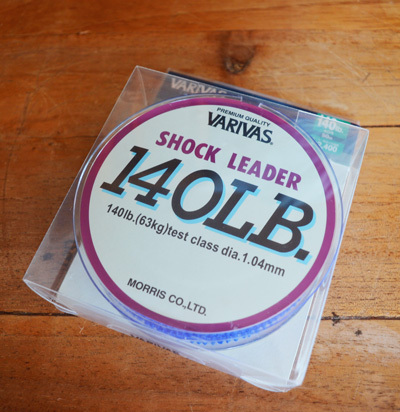 SHIMANO Saragossa good price/quality rate. IMPORTANT: Rental of popping and jigging combos rods and reels are available at the lodge. Good choice if you don’t want to invest for only one trip. 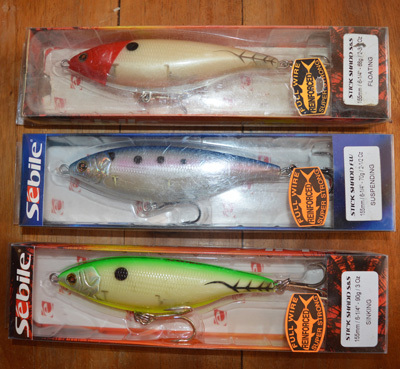 All lures and small tackle is available on sale at the boutique of the lodge. You will find all what you need. 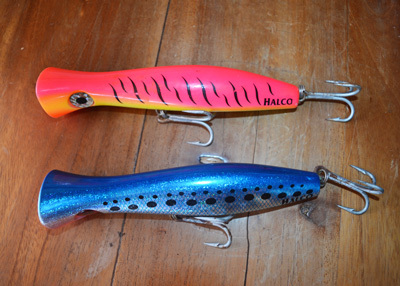 To give an idea, a list of the lures we use here. We need SKINKING STICK BAITS on sizes 16 to 20 cm. 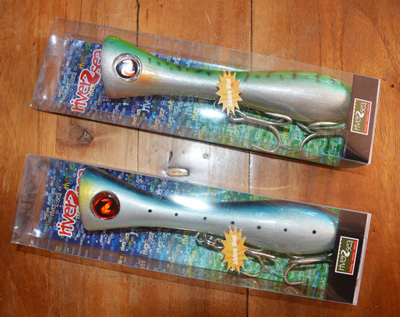 We use them for big cubera fishing on the rocks. – TAIL WALK GUNZ’S SK 160 and 180. Oliver Fishing can provide the good sticks (the dientons 160 and 180) on sale at the lodge. We use 100 to 200 grams jigs. Braid VARIVAS SMP (super max power) 80 lbs (PE 6) and 50 lbs (PE 4). 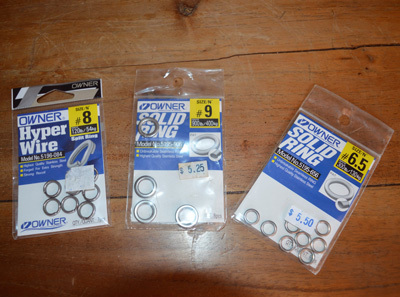 Split rings OWNERS n°8 et 9. Swevels SAMPO résistance 200 lbs. 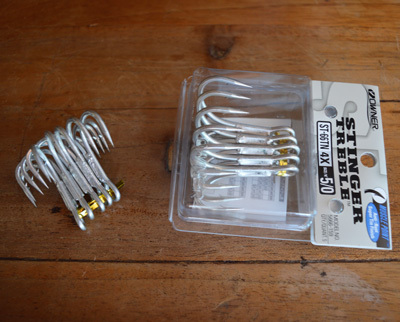 Small Cabiais n°6 for live bait fishing. 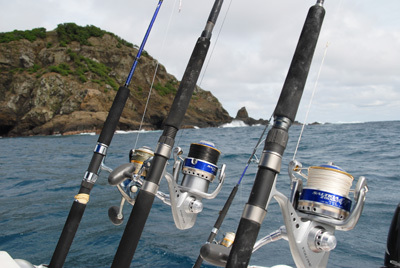 The belts and big game fishing rods for billfish and tuna are provided with the boat. You don’t need to bring them.